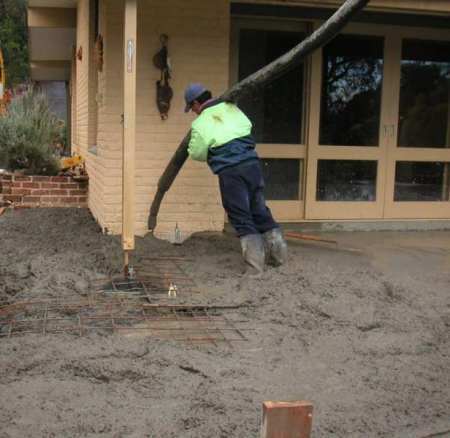 Concrete is a mixture of paste and aggregates. The paste, composed of portland cement and water, coats the surface of the fine and coarse aggregates. Through a chemical reaction called hydration, the paste hardens and gains strength to form the rock like mass called concrete.